Beginner Scuba (1 Tank)-28. This is especially true of the waters that caress the southern tip of the Baja. 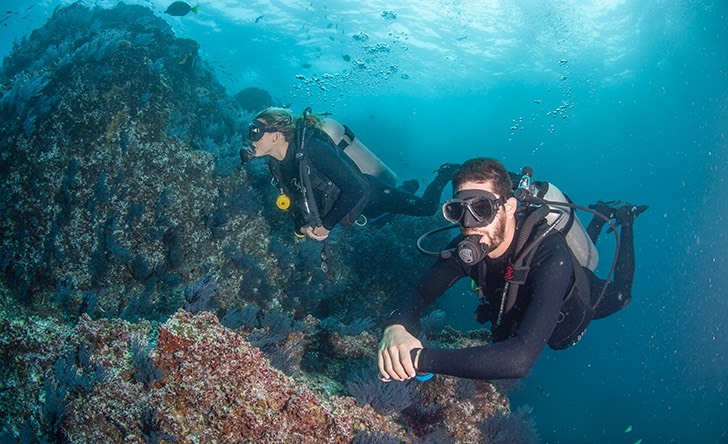 The diversity in fish and marine mammals that congregate here is unmatched anywhere else in the earth’s undersea domain. 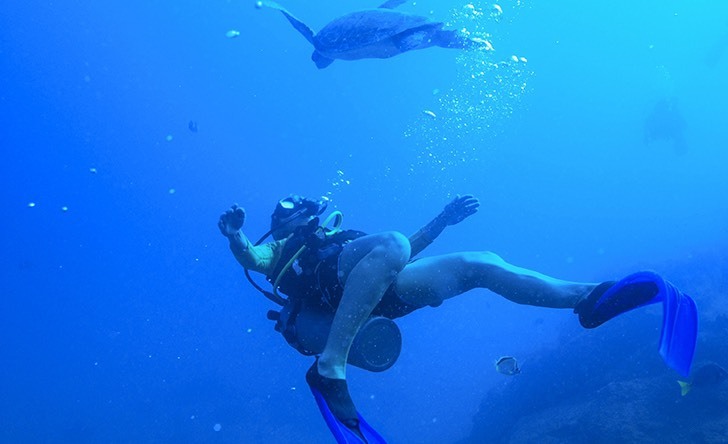 Three major ocean currents collide to create the unique and varied life that abounds in these fruitful, warm seas. 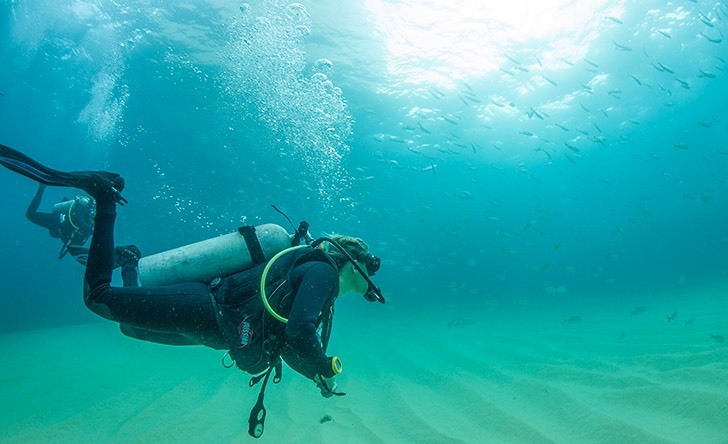 SCUBA Diving Tours and Excursions in Cabo San Lucas are now one of the most attractive aquatic eco-adventures in the destination. 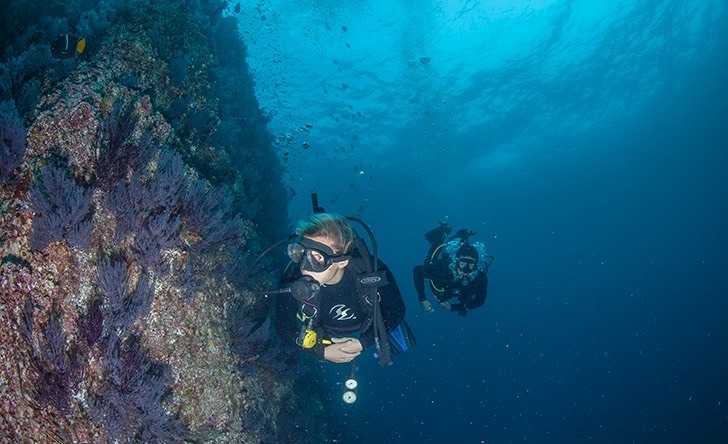 We take you to the best locations in the region where guests will discover various corral reefs, thousands of species of fish and even a sunken cargo ship. 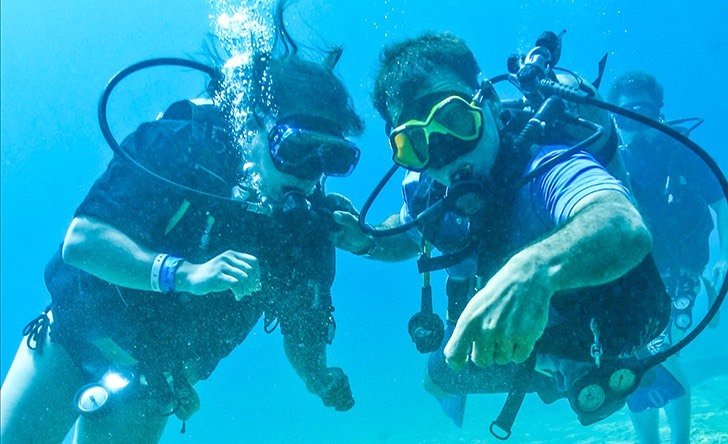 Our friendly, knowledgeable and professional staff members are ready to welcome you to the wonders of the underwater world of SCUBA Diving in Cabo. 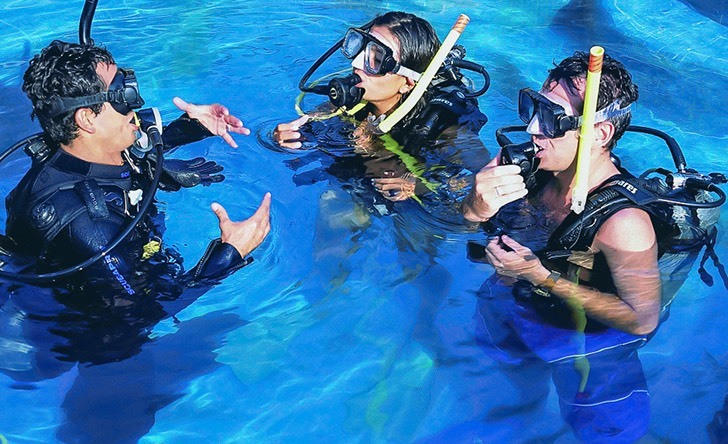 Our instructors are both patient and caring who will teach you how to SCUBA dive at your own pace, always mindful of your safety. 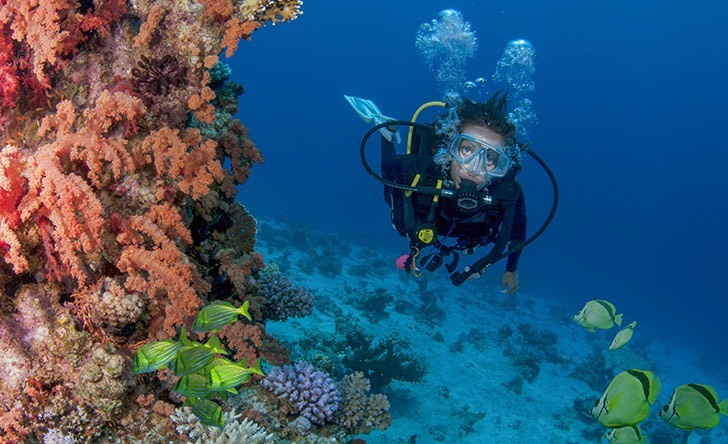 SCUBA diving runs throughout the year, although visibility changes according to the season. 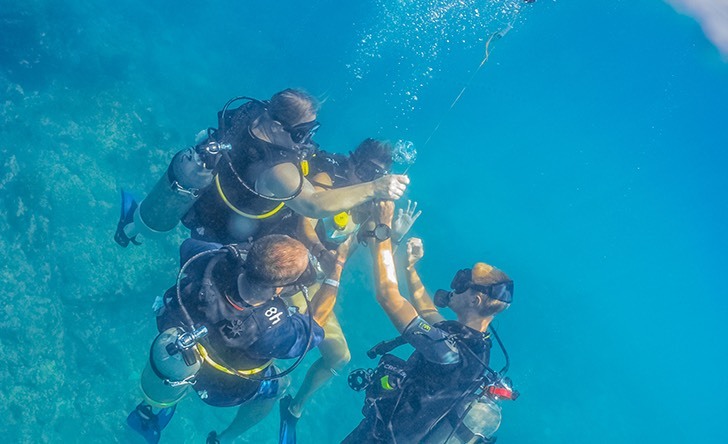 The Discover Scuba Diving experience will start with a theory class at the dive shop, then the dive instructor will show you how to use the equipment before taking you to a shallow area in the bay to do some easy and fun exercises. The combination of ocean and sea currents coupled with the Northern Equatorial Countercurrent help the spawning of plankton in bountiful populations. This staple of life attracts the entire food chain, allowing various species to benefit in over-abundance. 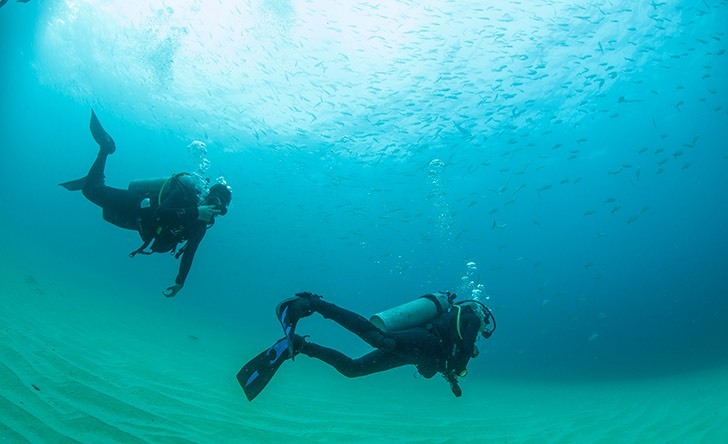 Experiencing the wonders of the deep is often a unique experience but SCUBA diving in Los Cabos can best be described as indescribable. 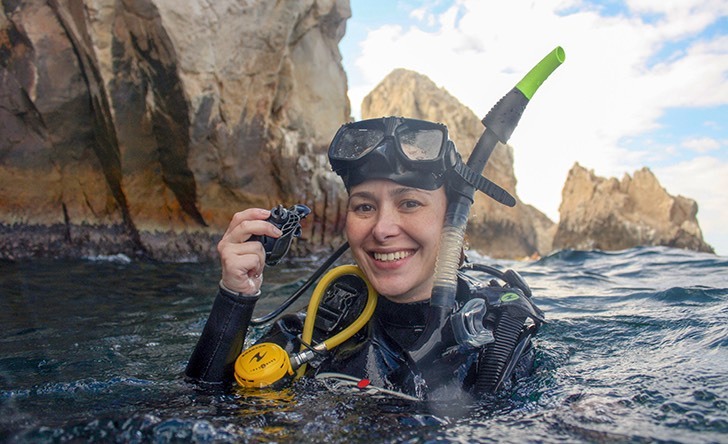 Customized Dive Expedition to Cabo San Lucas Bay.